While we were at Booktopia in Petoskey every time we mentioned that we were stopping in Ann Arbor, without exception, someone would tell us we had to go to Literati. Happily it was already on my list of places to visit and happily we didn’t skip Ann Arbor because we both loved it. 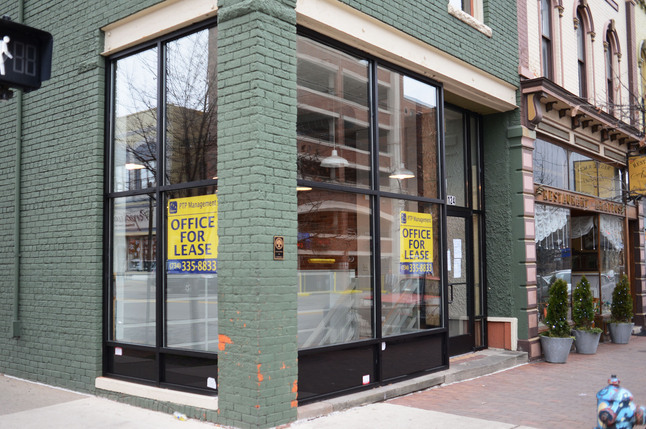 The store is bright, airy, tasteful, and hip (without tipping over into hipster). It isn’t huge but their selection of books is pretty darn perfect, at least in fiction. You can tell they think a lot about what they carry with a perfect balance of classics and new fiction and with plenty of happy surprises along the way. 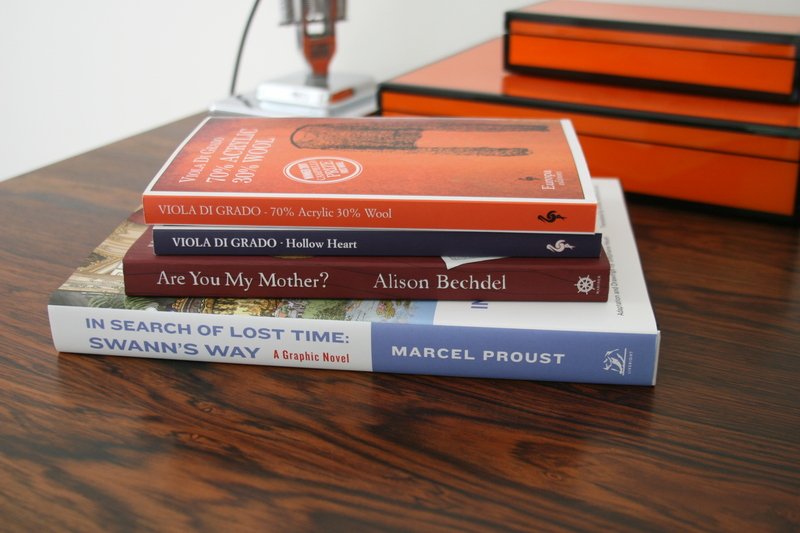 It is the kind of place that you trust implicitly to deliver good reading into your hands. They also had a very conveniently not-in-use bathroom in the second floor espresso bar, the absence of which would have made browsing impossible for this road tripper. I read Fun Home when it first came out and hadn’t realized that Alison Bechdel had another graphic novel called Are You My Mother?. The Viola di Grado books for some reason just lept out and me and both had jacket descriptions that made me feel like I had to have them. Plus it is rare that I dislike a Europa book. Hollow Heart is a book about a woman who commits suicide. 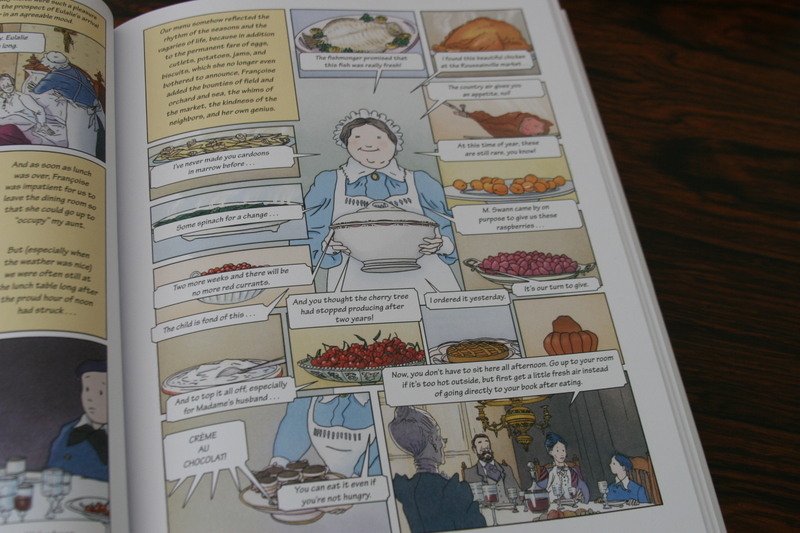 The book is told from her point of view–after she is dead. (As I type this, I can’t figure out why I haven’t read it yet. I think it just moved to the top spot on the TBR pile.) 70% Acrylic 30% Wool pulled me in because it describes a dystopian Leeds where it is always winter. In fact it has been winter so long that no one can remember anything different. I’ve tried reading the real thing. Maybe I will have better luck with this. This was the page that turned this into an actual purchase. …turned into this happy picture. The typewriter-key sign is typical of how nicely thought out this store is. 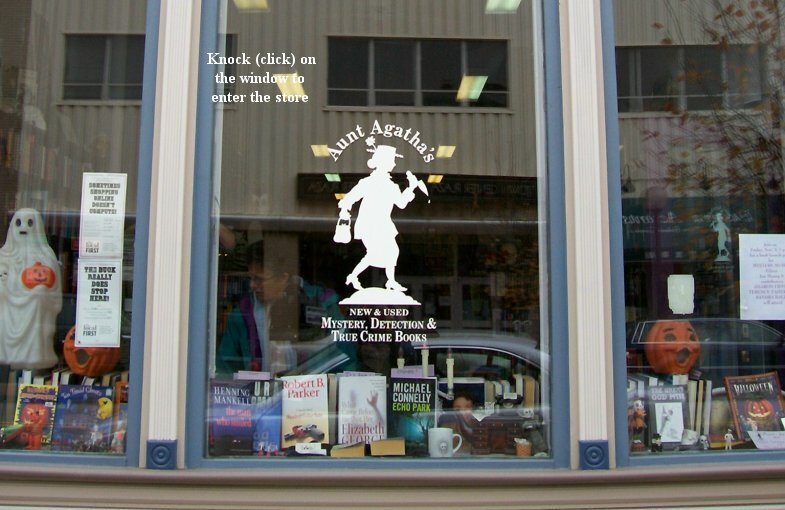 We also stopped by Aunt Agatha’s which is, not surprisingly, a mystery/crime bookstore. They have new and used stock and, although pretty well organized, it looks a bit of a jumble. For those who like the genre and know what they are looking for, this is a great resource. For those like me who just dip their toes into mystery it was a little overwhelming. There wasn’t anything I could see that would help me explore and figure out what I actually wanted from the heaving shelves. Aunt Agatha also probably suffered in comparison to Literati. I don’t need Agatha to be that hip and tidy, but I would have liked it if they had had a curated table or two to help recommend things to the clueless (no pun intended). The gentleman who was working that day was very helpful and friendly. I enjoyed talking with him. Simon and others have recommended Josephine Tey to me, so it seemed right to give her a go. Our final stop in Ann Arbor was Dawn Treader Books. This is a jam-packed used bookstore that could have taken up some of my time and money on a different day. The fact that it was a beautiful, warm day and we were still going to be going to John K King Books in Detroit that afternoon, meant I didn’t look too hard here. Part of the deal was that prices seemed a little high for my taste. A $7.50 mass market copy of The Chrysalids seemed a little steep. Then again, it was a cool, older edition that is probably hard to find. At any rate, I bought nothing. Picard keeping watch over Sci Fi at Dawn Treader’s. Or is he beckoning me to join him in his quarters? A click away from Literati is the best cupcake store in the state: The Cupcake Station. Lemon cake with buttercream white chocolate frosting is my fave. I can’t not go there if I’m within 10 blocks of the place. Next trip, go there. That was supposed to say a BLOCK away. Sigh. I’m usually such a good proofreader! 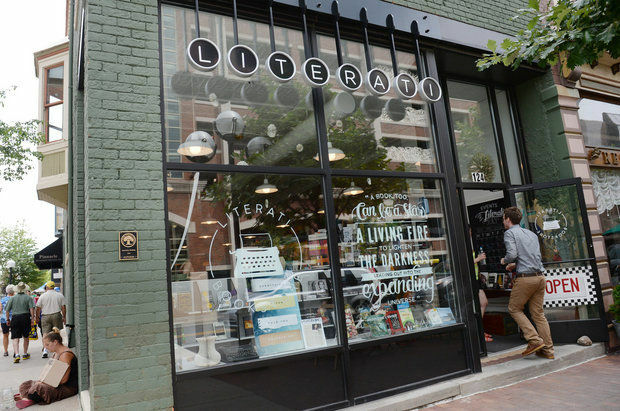 Literati looks like an amazing place to hang out. 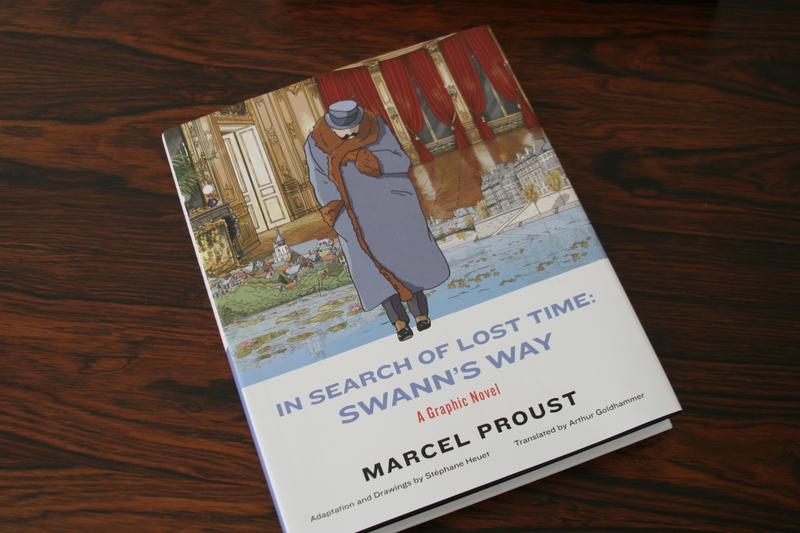 Now you’ve got me coveting for a copy of the Proust graphic novel! I hope you write about the Proust, I’m going through the Jane Austen graphic novel adaptations and have found them delightful so far! I think they’d be great to introduce someone to the idea of Austen and hopefully bait them enough to want to read the real thing. 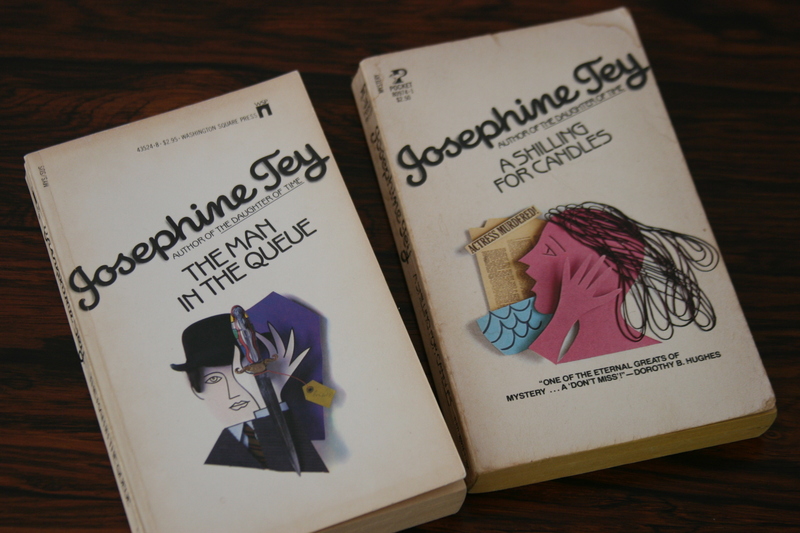 I haven’t read those two particular Josephine Tey titles, but I agree with Simon and others that you might like her if you want to dip your toe into cozy, golden age British mysteries. 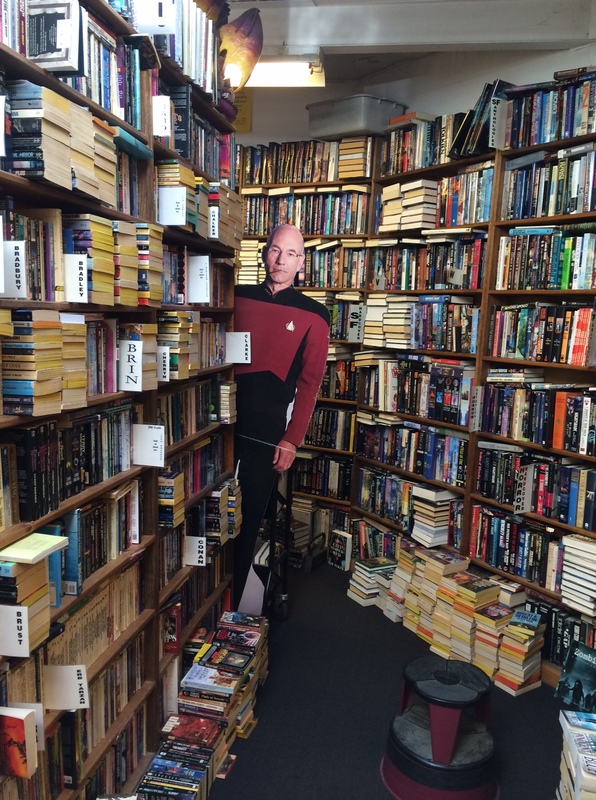 Jean-Luc is beckoning you to join him in a cup of earl gray (HOT) from the replicator and a nice chat about books in his quarters. He is a reader. I remember seeing books. I read Are You My Mother? a couple of months ago, though never got around to blogging about it (and it was a library copy). I thought it was very well done, but I also felt quite uncomfortable reading it – given how much of it was about her mother not wanting to be written about. Made me question the right an author has to fling their loved ones (or, indeed, anybody) into a spotlight they haven’t asked for. Love Josephine Tey – “Brat Farrar” is my favorite.